Singer-songwriter Deidre McCalla, an African American lesbian feminist, was out long before doing so was cool or safe. 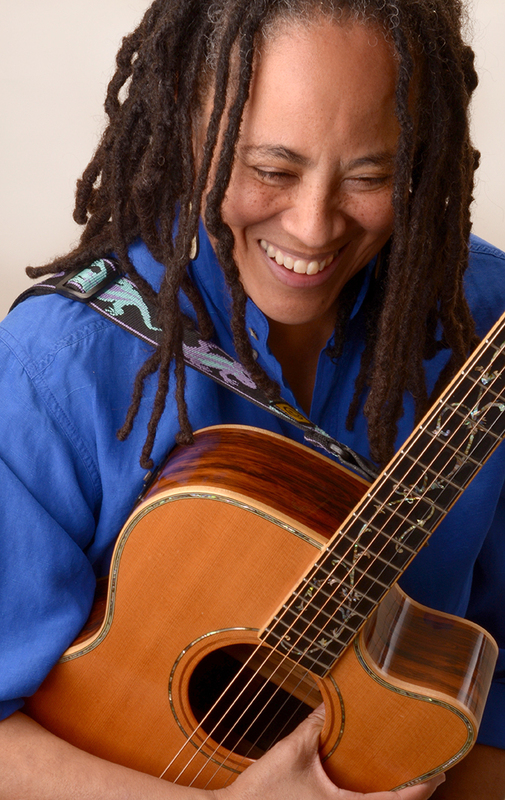 Dubbed the “dreadlocked troubadour” by the Miami Herald, Deidre released three albums with the ground-breaking lesbian-feminist label Olivia Records and has toured extensively for decades with multiple appearances at the National Women’s Music Festival, the Vancouver Folk Festival, Carnegie Hall and colleges, clubs, and coffeehouses across the U.S. .The Summer 2015 issue of Ms Magazine lists Deidre McCalla’s first Olivia recording Don’t Doubt It as one of 25 Classic Women’s Music albums. 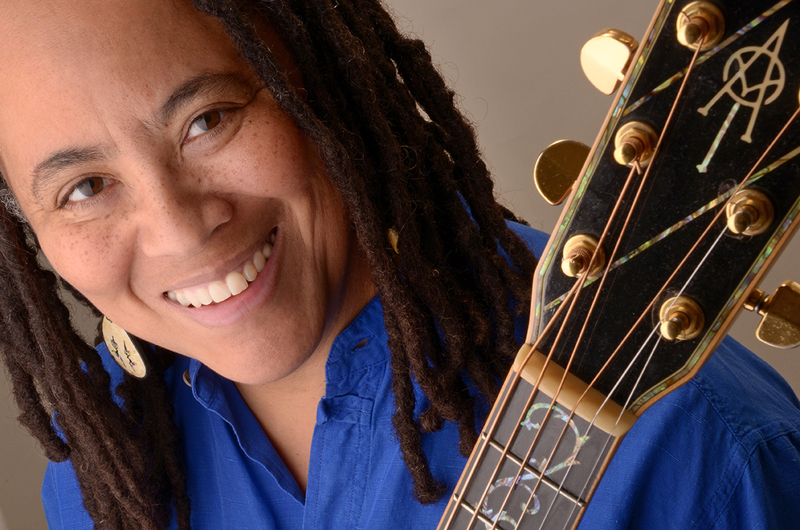 With a compelling blend of achingly sweet vocals, deft guitar work, and powerful social commentary Deidre McCalla’s concert performances highlight issues of particular importance to women, people of color, and LGBT communities. Interweaving song and story Deidre shares her experiences as an African-American lesbian feminist and conducts a culturally rich musical field trip consistent with the mission of Diversity Programming offices. Deidre McCalla’s performances provide a unique opportunity for women, LGBT students, and students of color to increase diversity awareness on campus and promote the building of an inclusive community. In addition to five recorded albums, Deidre’s written work has been published in Home Girls: A Black Feminist Anthology, The Original Coming Out Stories, and Chrysalis: A Feminist Quarterly and she is a featured artist in The Power of Words: A Transformative Language Arts Reader.